Each session runs for two hours and is made up of a maximum of 26 children. You may want to bring a change of clothes for any mishaps, however smocks are provided for messy activities. A warm coat in terms 2 & 3 because we still run outdoor activities if it is really cold but not raining. 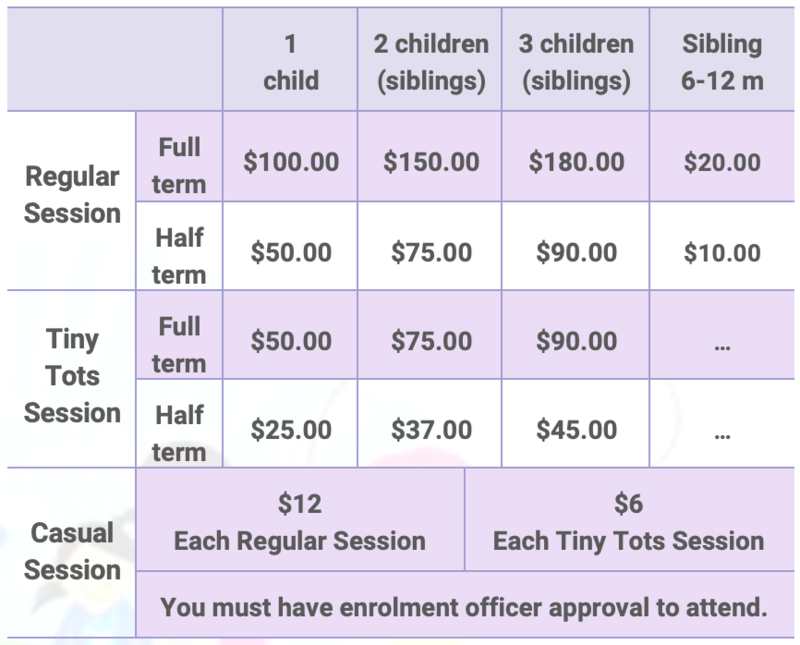 Sibling aged 0 -6 months is FREE! Playgroup fees cover art and craft activities and general supplies, as well as Playgroup Attendant wages, Hall Hire, with insurance. The toy levy is put in place to purchase toys. On a dedicated Baby Mat there is an assortment of toys to amuse and challenge babies and toddlers. Included in this assortment is a larger feature toy that changes each week. 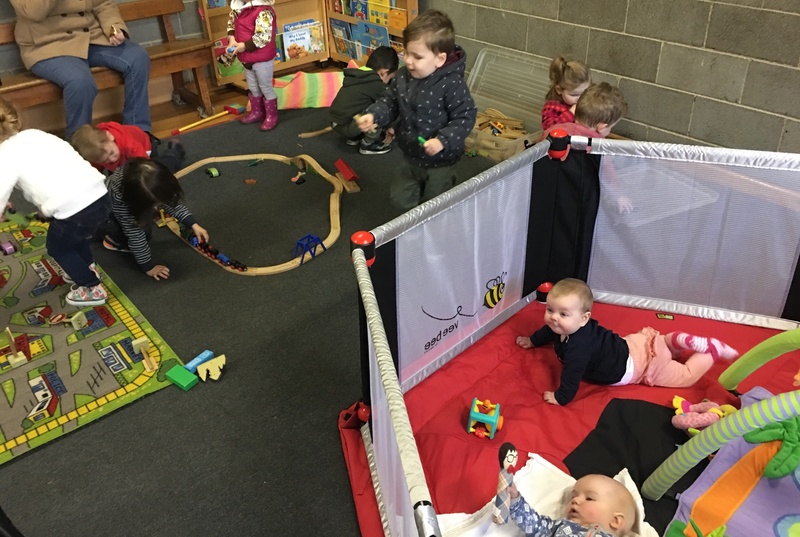 A play pen along with a change table and high chair are also available for use. Appropriate outside play spaces and toys are also provided. On the main mat we have two activities each week. One generally being a role play experience, eg. dress-ups, shopping, kitchen, dolls and trucks. With the other a cognitive activity, eg. mazes, blocks, Duplo, peg hammering sets and more. Our Book Corner will also feature regularly in addition to the other activities. 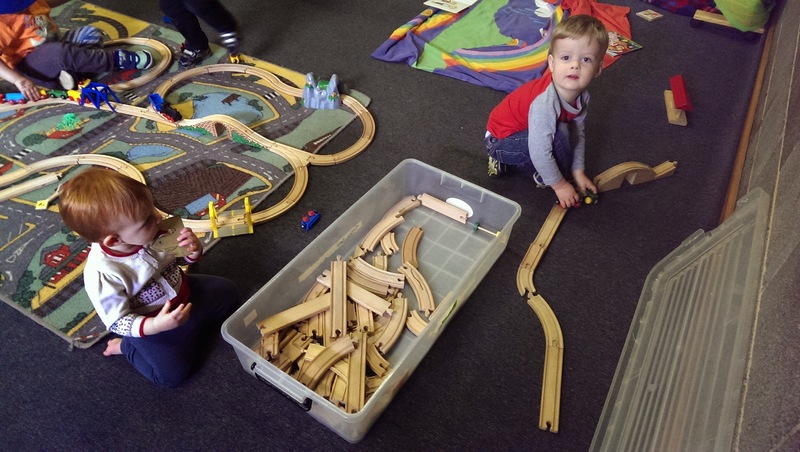 In a separate indoor area we have ride on cars, four big cars and three smaller ride-ons, plus a petrol pump for role playing. The ride-ons are available for the kids to take outside and are very popular. 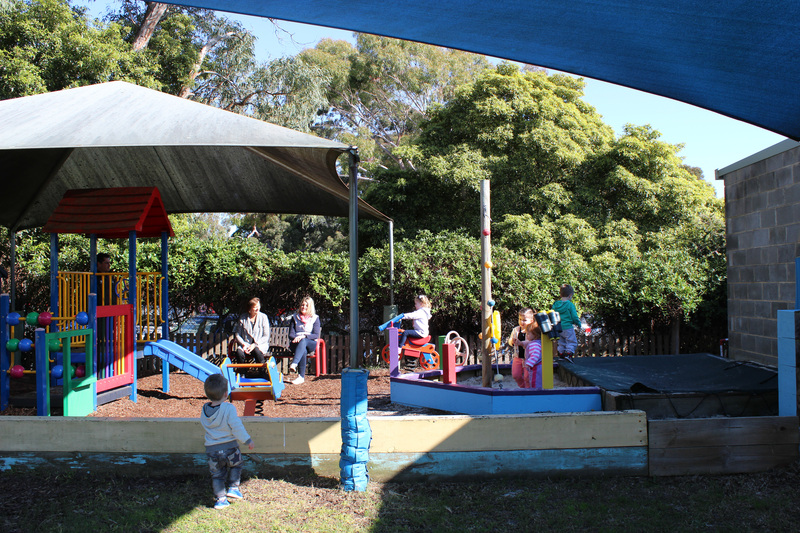 Outside we have a fenced in area with a sand pit, cubby house and fixed playground equipment. Other activities are beanbags, mowers, trikes, balls, obstacles and trucks. Feature activities include the dinosaur pit, tray of balls and when warmer, water play and bubbles. The attendant runs group time and always begins with music and bubbles. Songs and story time follow but things like the parachute, instruments and dancing can feature. Sometimes the stories are even told with puppets. Ending the session is our good bye song and a special stamp for the children. Table activities consist of two tables for craft and one for fine motor experiences. The two craft activities are usually one structured like making masks, binoculars, cars, mobiles and shakers with the other unstructured like painting and free collage. Fine motor activities include play dough, threading, magnetic landscape, felt boards and hammering. 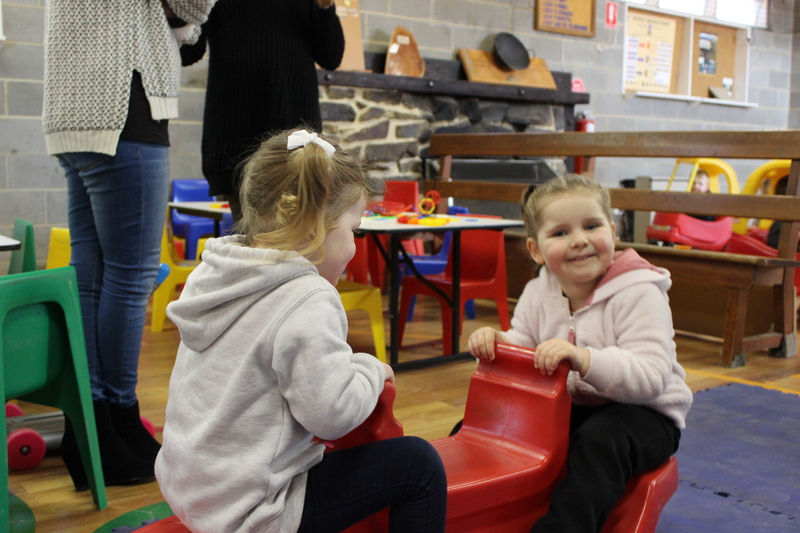 From time to time we have enough demand to run babies’ sessions at North Ringwood Playgroup. It tailored for the 0-1 age groups. The length is one hour beginning at 11:45am and running until 12:45pm. The structure follows inside time where the programmed activities reflect the abilities and interests of this age group. With mat activities like massage, cognitive and musical activities chosen to engage their age. The craft is unstructured and with a little assistance even very small children can participate. 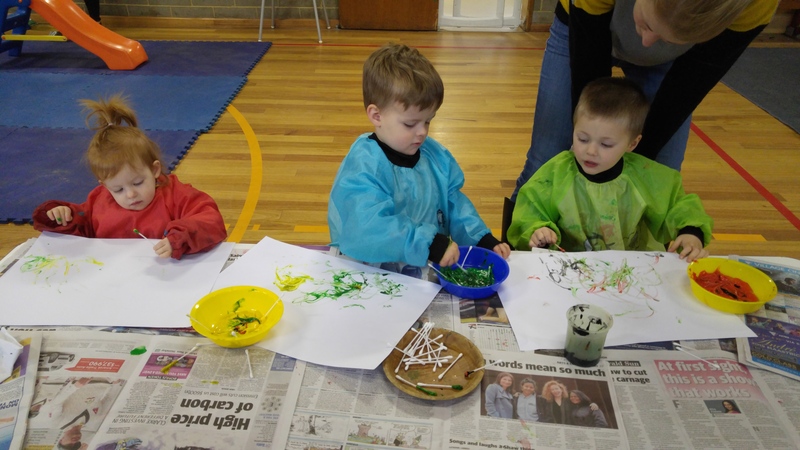 Activities offered include: painting, drawing, pasting and sensory play like playdough or magnetic sand. There will be a little outside time, where infants can enjoy the tactile stimulation of the sandpit, movement of the swing and baby slides. 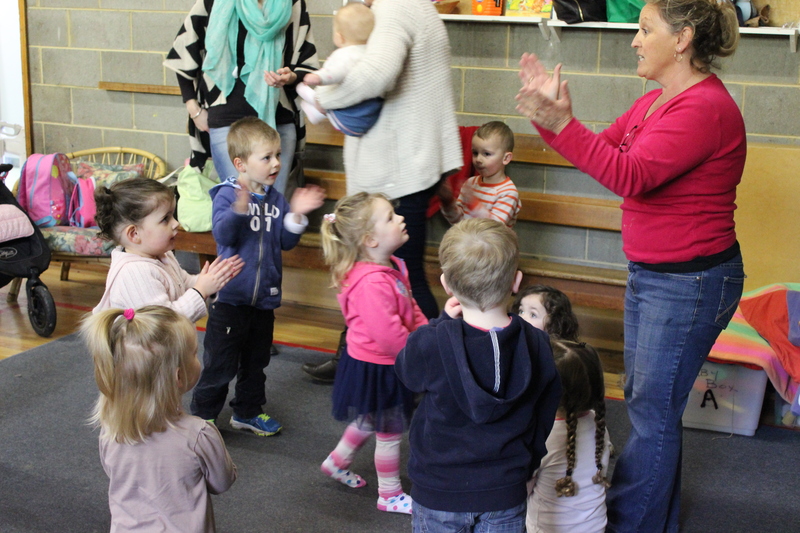 Our group times are interactive involving parents and infants in songs with actions and movement to music. While our much loved bubble machine add colour and visual stimulation.